Today being a weekend my kids wanted to have something different and yummy too. It had been a long time since I made urad dal Vadas, so thought of making Vadas. We normally have Sambar Vada, Dahi Vada, Rasam Vada. I thought of making something different. 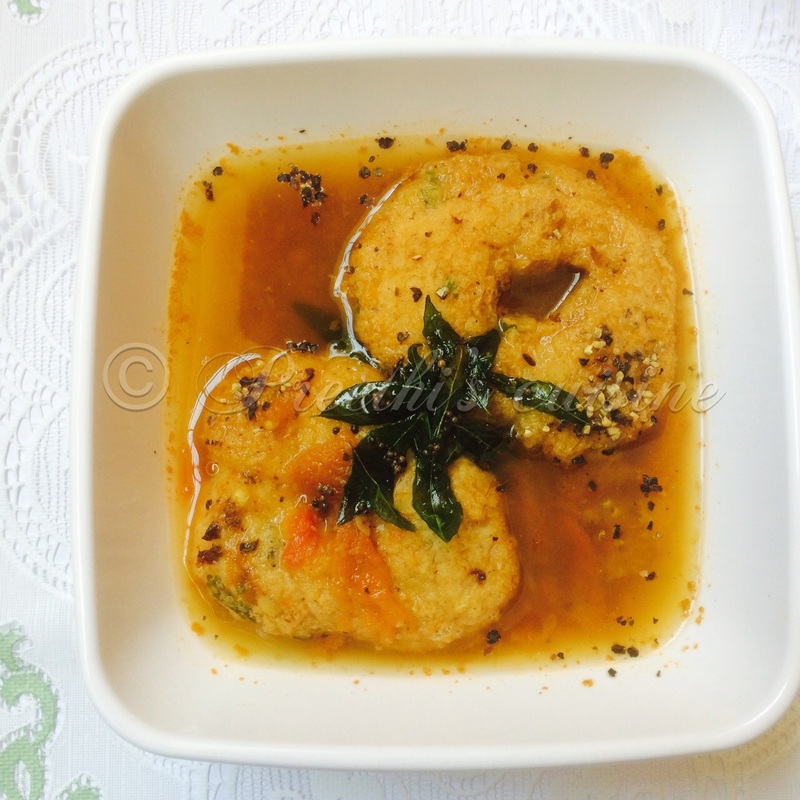 So I made Pepper Rasam Vada. 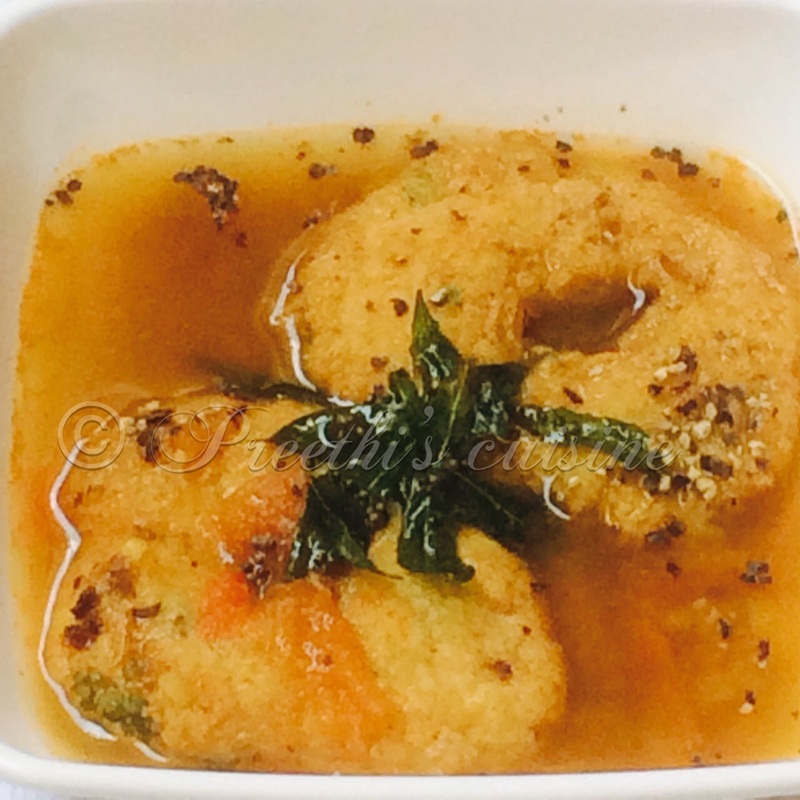 As it is exam time for my kids, I made Pepper Rasam as it aids digestion and Kids can enjoy Urad Vada also at the same time.Kids loved it . It is a lipsmacking dish and worth a try. Grind the soaked Urad dal in a wet grinder / mixie to make a fine paste.Add pepper and ½ glass of water while grinding. Once the urad dal paste is ready add all the other ingredients mentioned above. Wet your hands and take a ball of flour ,make a hole in the centre using your thumb, and drop it in the hot oil and deep fry. Keep the Vadas aside. Boil Moong dal and keep it aside. Roast 2 to 6 nos ingredients and coarsely grind.Heat 2 tsp ghee in a wok. Add the chopped tomatoes. Once they turn mushy add the boiled dal ,rasam powder and the ground masala. Add 250 ml of water and let it simmer for 6 to 8 mins. Add salt to taste. You can add more water in case you want the Rasam to be thin. 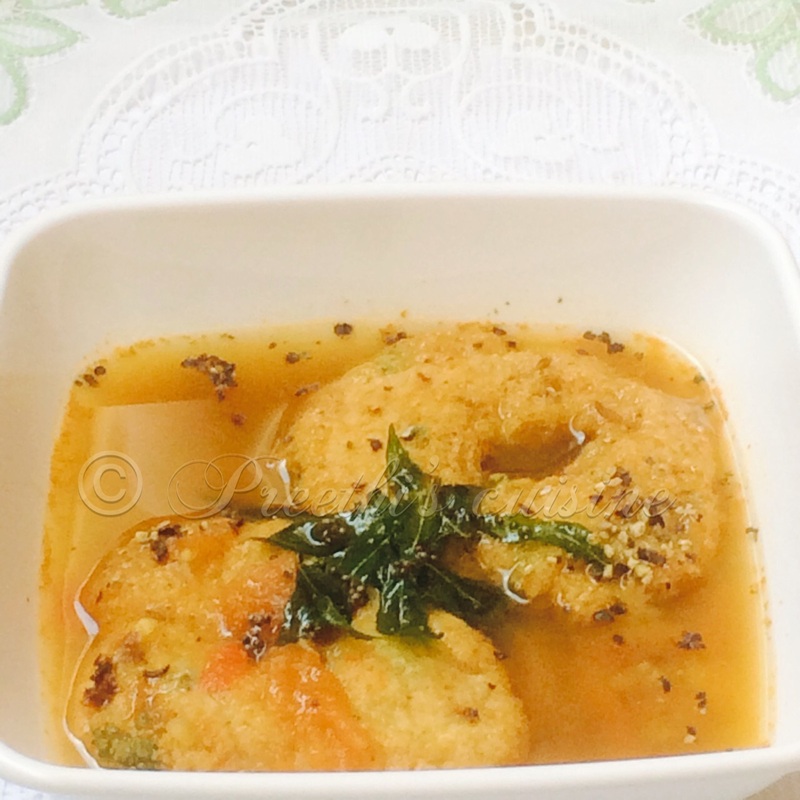 Soak the Vadas in Piping hot Rasam and garnish with extra tadka and serve. A traditional favourite of South Indians, mine included. I love rasa vada! Yummy! 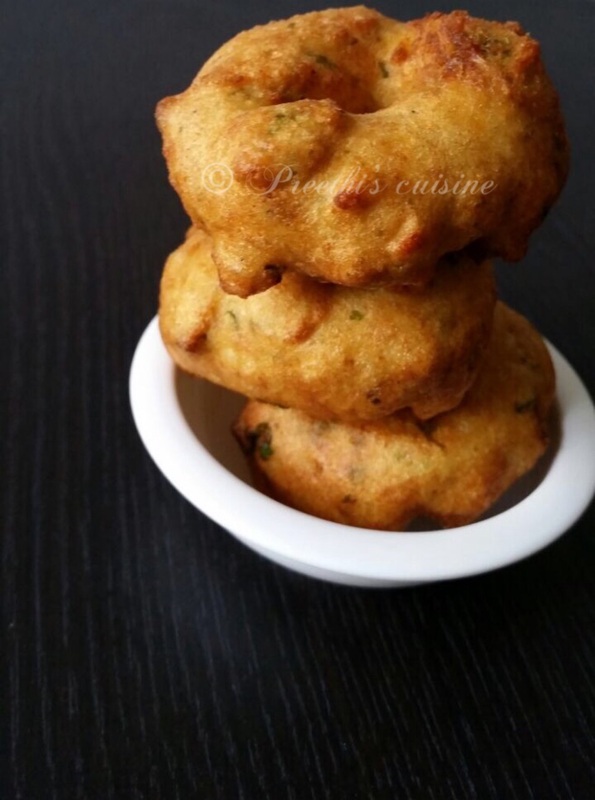 These looks so goof Preethi…..I love Vada’s and the recipe looks simple enough, definitely going in my ‘Must Try’ List. Thank you Molly. Do give your feedback whenever you try. Love the contrast of the photos. Will definitely try the vadas.